Established in 2010, Great Lakes Security Services is a customer-centric company dedicated to providing top-notch security services for clients in Milwaukee and all throughout the state of Wisconsin. Here at Great Lakes Security Services, we are genuinely passionate about the services we provide and it shows in the quality and attention to detail displayed with each client served. Established by an active police officer with a firm commitment to serve and protect even when off-duty, Great Lakes Security Services sets the standard for top quality security services for businesses, VIPs, and events throughout Milwaukee and surrounding areas. Give your customers and employees the reassurance of having a Police Officer in your business. With a full team of highly skilled and experienced off-duty police officers, and security professionals ready to provide you with the personalized security services you require, Great Lakes Security Services stands out as the premier security services specialist trusted by clients who want nothing less than superior quality security services at honest, fair prices. 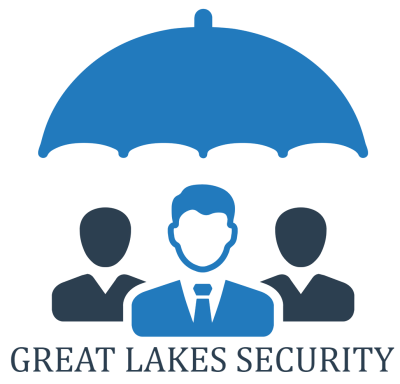 So if you're in Metro Milwaukee, Suburban Milwaukee, or other surrounding areas and would like to make sure you, your business, your events, and others are kept safe at all times, there's only one name to keep in mind - Great Lakes Security Services! To learn more about how our exceptional team of highly skilled off-duty police officers can provide you with the standout security services you need, please do not hesitate to give us a call at 414-550-2444 or email us at [email protected] today!